A wonderful vacation in a cozy Branson cabin not only offers a relaxing stay in a calm environment but will also let you experience a luxurious and comfortable way of living. The beautiful location of Branson cabin in a secluded place is still convenient for every guest as it takes only five minutes to city attractions. If you feel like shopping, you will find it easy at Tanger Outlet Mall as it is only a walk distance away from your cabin accommodation. Also within walking distance from your comfy cabin accommodation is the popular 76 Country Music Boulevard where live entertainment shows abound. The luxury and comfort that you will experience in Branson cabin in a serene and calm environment, will let you think of coming back another time. Even if your cabin accommodation is nestled in a wooded valley, these cabins are actually near the Highway 76 Strip where hundreds of live entertainment performances and exciting attractions are easily accessible. Cabin location is also near the area where you can easily shop at Branson Landing. The comfy cabin accommodation at Thousand Hills Golf Resort offers guests spectacular sceneries including the picturesque wildlife, mountain view, and the beautiful landscape of the popular 18-hole golf course in Branson. Cabin accommodation units of Thousand Hills are beautifully located near the foothills of the Ozark mountains and very near to the entertainment district in Branson. When you stay in a cabin accommodation at Thousand Hills Golf Resort, you can feel the excellent and relaxing atmosphere in a tranquil environment which will make you forget noisy city life. Guests at the resort always have the opportunity to enjoy its indoor and outdoor pools. All cabin accommodations at Thousand Hills provide guests luxury, comfort, and convenience not found in regular hotels. 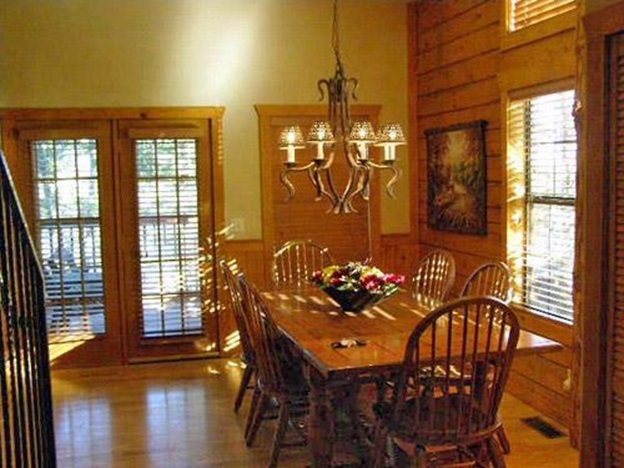 Thousand Hills lodging properties in Branson also offer condo and townhouse rentals. When you stay at any type of lodging at the resort, you will never run out fun and exciting activities as the location of the resort is also near the Tri-Lakes area where you will find countless outdoor activities and exciting water sports adventures. If you are a sports enthusiast, you can easily take the advantage of the lake where you can enjoy exciting water activities such as fishing, boating, swimming, parasailing, and many more. A wonderful vacation at Thousand Hills Golf Resort allows you to experience a luxurious lifestyle as the cozy cabin features Jacuzzi Suite, king size bed, a separate living room, and a fully furnished kitchen. Your relaxing and wonderful stay in a cabin accommodation will also let you enjoy stone fireplace, whirlpool tub plus a two person rain shower, and a screened porch. The resort is only minutes away to the heart of Branson which means that live entertainment shows and city attractions are just within walking distance away from your cabin accommodation. So, if you are looking for a place to stay to make your vacation extra luxurious, stay at a comfy cabin accommodation at Thousand Hills Golf Resort.